I thought that the game between Portland State and Eastern Washington would be the best game of Saturday night, and it proved me right. In a game that was tight throughout, Portland State won 78-76 in overtime. Near the end of regulation, Portland State had the ball, trailing by three (in part thanks to a missed free throw by EWU). They found guard Lateef McMullan, who nailed a three from the corner and got fouled (but missed the free throw, robbing the Big Sky of potentially have two game-winning four point plays within one week). On the ensuing possession, Tremayne Johnson drove to the hoop, but had his shot blocked by Chehales Tapscott, sending the game to extra minutes. In overtime, the drama continued. Late in the game, it was Eastern Washington trailing by three, taking the ball out from under their basket with about 35 seconds left. EWU ran a nice play to get Collin Chiverton free, and he banked in a three from the wing with 30 seconds to play. Portland State did not call timeout, and they simply ran the clock down, and ran a four-low isolation play for Charles Odum, who got into the lane and hit a 12 footer with 2 seconds left. The Eagles got a desperation attempt up, but Odum's shot was the game-winner. 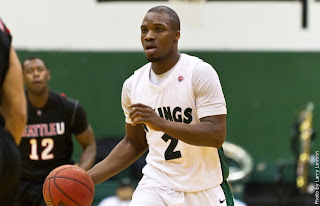 Odum finished with 20 points, but he was just one hero among a few for the Vikings. Chehales Tapscott had 16 points, 13 rebounds, and 3 blocks, and made tons of big plays. Lateef McMullan hit the big three at the end of regulation, and finished with 18 points on the game. His emergence becoming a reliable offensive threat has made the team that much more dangerous. For Eastern Washington, it's two straight painful losses. Last week they were on the wrong end of a thriller against Northern Colorado, and this one has to sting even more since it was at home. Once again, their propensity to commit tons of fouls was their undoing, as three guys fouled out and PSU shot 40+ free throws. I saw a couple EWU fans (though it should be noted I have seen others that don't agree with this) blaming the refs and thinking that EWU is getting the short end, but I don't see that. 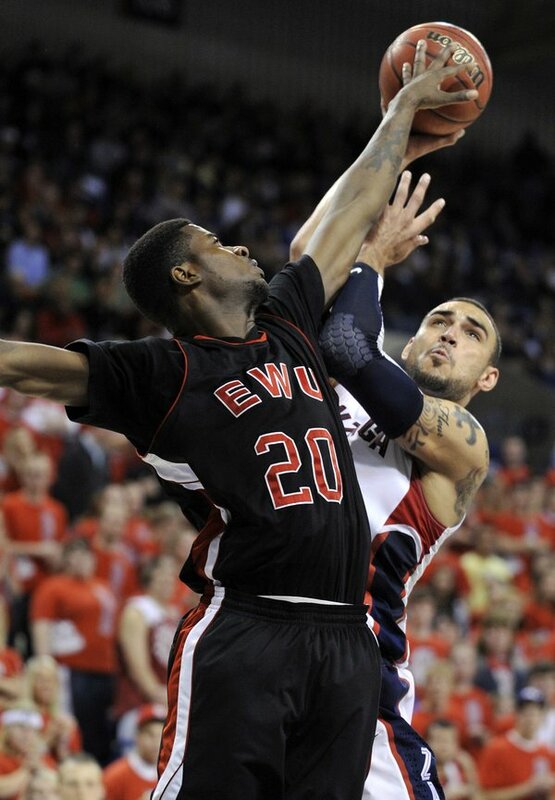 There was ticky tack calls on both teams, but the bottom line is that every game EWU is having these foul problems. They foul more than anyone in America, and it seems to happen to them every game. At some point you have to stop looking at the refs and start looking in the mirror. Suddenly, EWU is sitting at 3-4 in the Big Sky with Montana and Montana State coming to town. They desperately need some wins, especially with Idaho State playing better and better. For Portland State, they are 4-3 and host Montana State on Thursday. With a win, they will be tied for third in the conference.